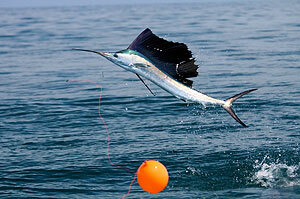 dolphin, wahoo, grouper, snapper, cobia and king mackerel to keep your reel humming. It won't take you long to have poles in the water. 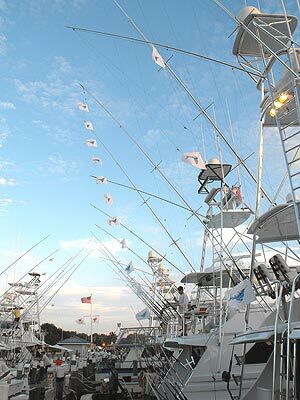 Sailfish Marina is the closest marina to the St. Lucie Inlet with no bridges to the Atlantic Ocean. the St. Lucie and Indian Rivers. If cruising's your style, the choices are unlimited. Cruise & dine: Have some time? Enjoy a leisurely trip down to Jupiter or up to Vero Beach via the ICW. Pressed for time? Cruise 10 minutes to the end of the Manatee Pocket and dock at several good restaurants. Nature lovers will enjoy the natural beauty of the South Fork/St. Lucie River or the St. Lucie Inlet Park on the ICW. Feel adventurous? Take a trip to the West Coast of Florida via the Okeechobee Waterway or go East to the Island, just 90 miles from the inlet. Visit downtown Stuart by boat. Dock at the City Pier and shop and dine in historic downtown Stuart. It's a wonderful way to spend the day! 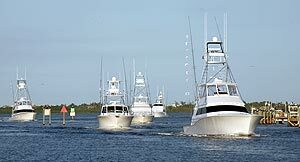 With beautiful and bountiful waterways, Stuart is truly a boater's and fisherman's paradise. website created by: TidalWave Programming, Inc. • ©2005-2010, All Rights Reserved.